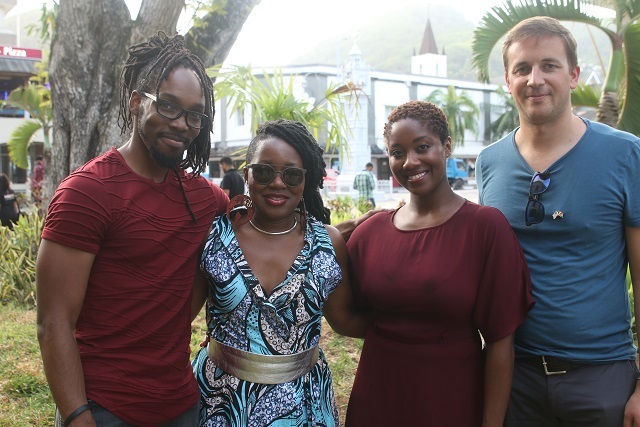 (Seychelles News Agency) - Dawn’s Early Light, a group of highly-acclaimed American performers and musicians, are in the Seychelles touring and empowering women and girls through song and music. The group is being hosted by the United States embassy in Mauritius and is on the island nation to hold a series of workshops for women and girls. The group held the first session on Monday. Speaking to one of the band members, Asha Thomas, SNA learned that the group is touring under the theme Grace in motion: Empowering women and girls through song and dance. “Because we are a group of artists and we make a living performing, singing, playing instruments and dancing. This is our means of expression and our vehicle for communicating what we do and what we love,” explained Thomas. 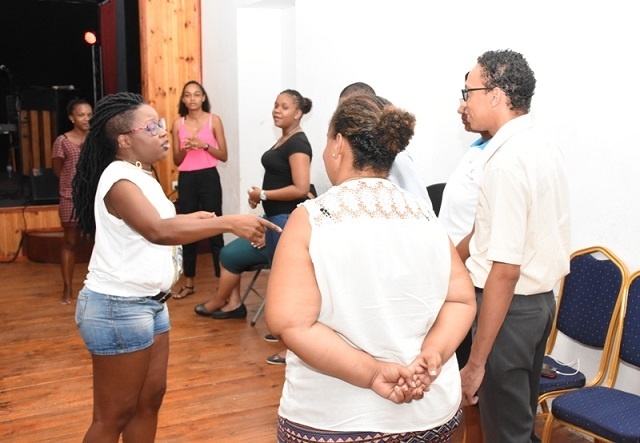 The sessions were held for not for profit organisations at the Theatres des Palmes in the central district of Mont Fleuri on the main island of Mahe. The workshops’ main focus was on how these organisations which work with the young people, women and girls can help them use songs and dance to help them use their voices to express themselves. “I am so happy to have been part of the session, I came in a bit stressed but I came out rejuvenated and happy,” said one of the participants, Lyn Asba, after the two-hour session ended. Adding that the music and massage really helped to relax her. Another participant, Jane Cecile, told SNA that the workshop was very good. “It is the first time that I have attended a workshop where there were no books, no papers, no tables and no chairs! And it was one where I was not bored. The music, the message and the song did the trick,” said Cecile. Cecile added that women should use music and exercise as a way to relieve stress. Dawn's Early Light is based in Paris, France and has been active on the European art scene for many years. Seychelles – a group of islands in the western Indian Ocean - is the second country the group has toured after visiting neighbouring Mauritius for similar activities. The commuters of Victoria – the capital city – got the chance to enjoy a musical extravaganza on Tuesday from which they got the chance to appreciate the heart and soul of American culture. This was through an open-air performance right in the heart of the city. A performance where there was the weaving together music from various genres that have had a major impact on the entire world. The audience had the chance to experience and hear some of the best American music and dance from the Blues 1920s Cotton Club Era Jazz, Broadway, Motown, Gospel, Rock ‘n Roll as well as contemporary music.